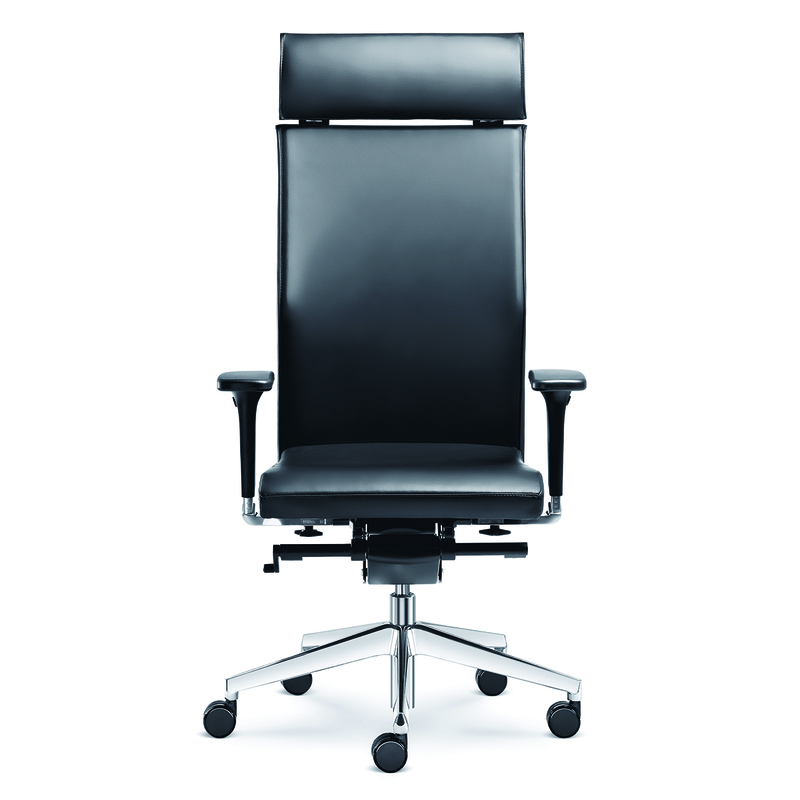 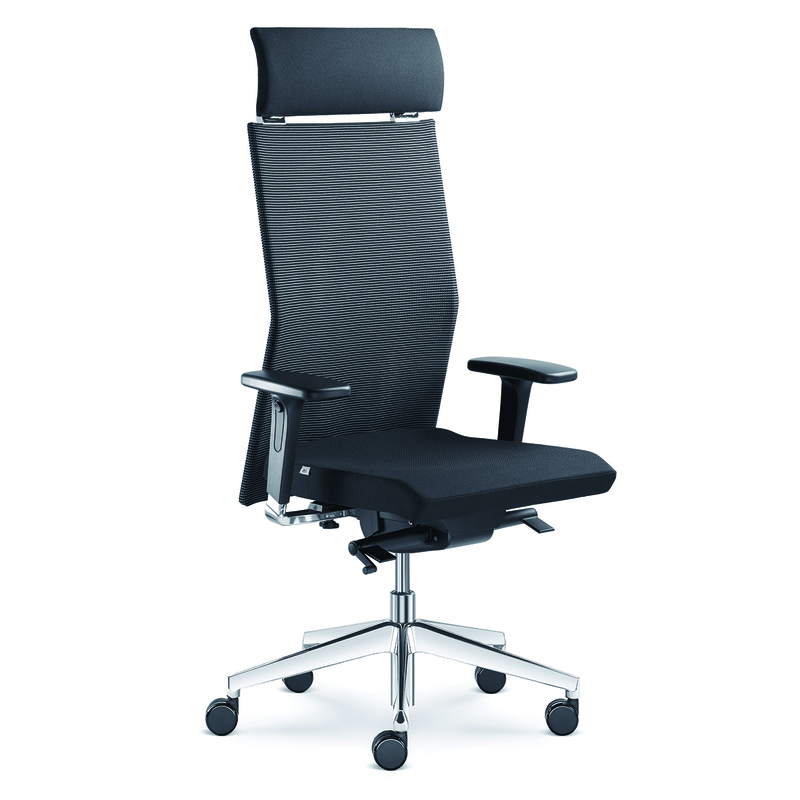 Ergonomic executive chair, with fully upholstered backrest, seat and headrest. 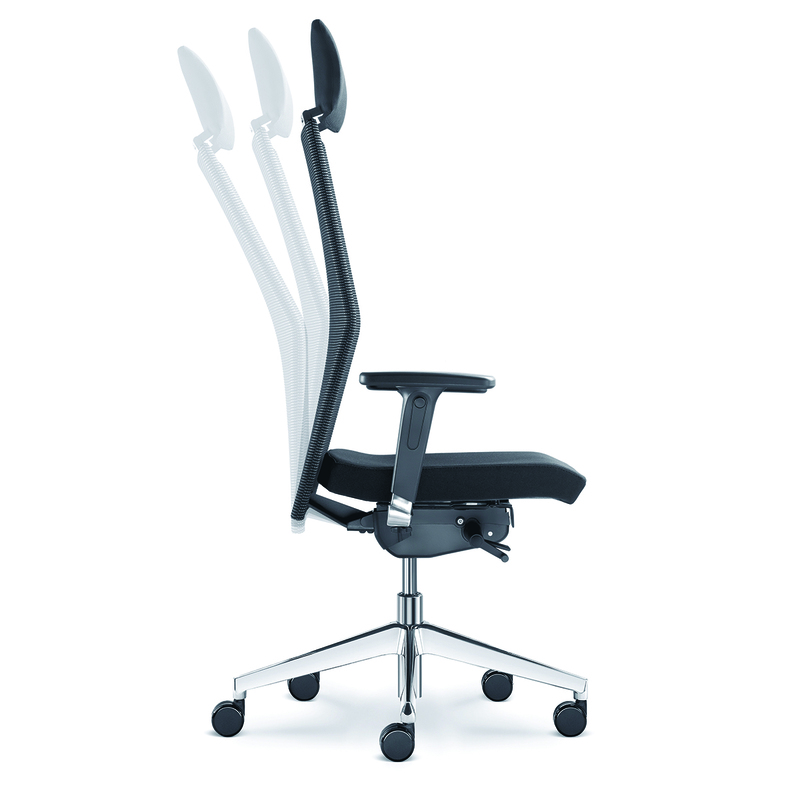 TI synchronous mechanism with individual seat tilt adjustment settings, pneumatic lift mechanism, polished aluminium base, chromed headrest and backrest holder. 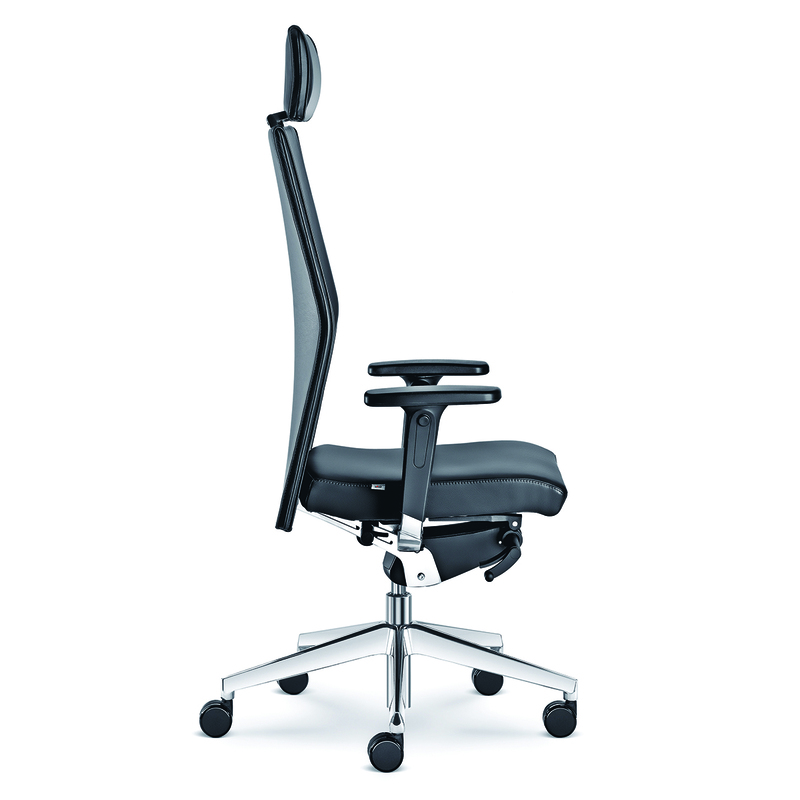 Also available in in self-supporting Goyal mesh fabric.